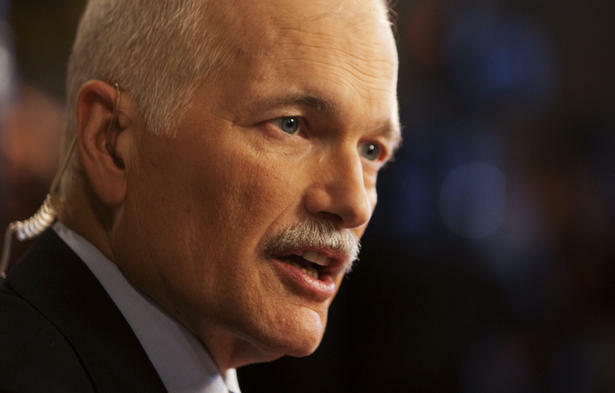 It was a year ago (July 25), that Jack Layton’s cancer battle caused him to step aside from politics. Less than a month later, he was dead. Prime Minister Stephen Harper offered Layton’s family a state funeral, which was accepted. There were a number of unusual factors connected with Layton’s death that are worth noting, not the least of which was Harper’s gracious – and appropriate – recognition of his political opponent’s substantive contribution to Canadian life. In addition to his use of his office to provide a state funeral, Harper quietly and without fanfare did two other things that bespoke a sense of statesmanship. Instead of staying planted in their seats when leftist orator and social activist Stephen Lewis lauded social democracy, Harper and his wife, Laureen Harper, joined the standing ovation. And, in an interview around the time of the funeral, the prime minister spoke movingly about visiting across the Commons aisle with Layton during the Canada Post back-to-work legislation filibuster a few weeks before. He referred wistfully to the musical jam session that they had talked about, but was never to be. And he hinted that they apparently congenially discussed the pressures of political and family life in a way that put them – as adversarial politics will never permit – on the same side of the table. Now, one year later, the left-leaning think tank, the Broadbent Institute (sort of a mirror-image of the slightly-to-the-right Manning Centre) is asking Canadians to take to social media to comment on Layton’s final message. I am enough of a social media luddite to decline –graciously, I trust – that invitation. But I would like to offer some comment in this space. First, a disclaimer: I fully recognize that some NDP partisans will interpret Layton’s dying letter as having been directed at those wicked Tories who get so angry as to deserve everyone’s highly-articulated hatred. From this corner of the parliamentary perch, I would suggest that Layton was speaking, just as much, maybe more so, to some of his own followers. Particularly, I think he might have been addressing those who would consider it a sin to ever admit to liking or even semi-agreeing with someone a little more conservative. What is my evidence for such a contention? It is a body of House of Commons work that I believe showed, on one side, Harper and Labour Minister Lisa Raitt, and on the other, Layton and his filibustering NDPers, at their best. It was the NDP’s first test as official opposition after last year’s federal election. The issues were dear to the hearts of parties on both sides of the house. Raitt made her mark by continuously emphasizing the considerable conciliatory capacity that would enable both unions and management to resolve their dispute. And that enabling, she suggested, could ward off wrecking a fragile economy or, more significantly perhaps, poisoning labour-management relations well into the future. The left was able to use the filibuster to keep the feet of government to the fire, with respect to its own collective motivations. Their spokespersons were able to make their points repeatedly and with eloquence. One of my professors at Tyndale Seminary recommended that, prior to embarking on the research for my thesis, I should take a look at a tome entitled Made in Canada Leadership: Wisdom from the Nation’s best and brightest on Leadership practice and development (Wiley 2007), authored by Amal Henein and Francoise Morissette. For my faith-based readers, some interpretation is helpful. If there is any “faith” in the book, it comes out of the co-operative movement. Much of the funding for the studies from which it resulted came from The Desjardins Group, a large and historic Quebec-based credit union and co-operative consortium. Woven throughout the book are references to what the co-operative movement can bring to the larger issues of Canadian leadership. Chapters 10 and 11 particularly summarize that part of Made in Canada’s thesis. Regarding Pearson, I could find some resonance. Like Harper, he had five years presiding over a minority government. And it could be logically argued that Harper’s time in minority was quite Pearsonian. But, having lived most of my life in the west, where Trudeau was often viewed as an arrogant and destructive pariah, I have to confess that I would have to adjust my thinking to see him as a profile in courage – someone that Harper should try to emulate. All this brings us to the consideration of this question: Is it possible that our own biases can discolour and misrepresent the characteristics of our political or religious enemies?